If you ask a physicist “what is time?” you may get lots of information but you won’t get a very satisfying answer . If you were to summarize their responses you might end up with something like “I wish I knew, but I don’t.” The reason for this kind of a response comes from a belief that the word “time” refers to something that a clock measures . But how is it that, if a physicist doesn’t know exactly what time is, how would a physicist know that a clock measures time? Or more concisely, how do you verify that a clock measures time? Or simpler yet – how do you measure anything? Note that this applies to any circle where its circumference is expressed in the units “diameter” rather than units of [L]. That is, while the unit is abstract it still refers to a well defined observable – the diameter. And the scalar tells us explicitly how many diameters it takes to equal 1 circumference of 1 circle. I.e., the diameter is a reference length in the same way that a meter is. Now, many of us have worked through problems by applying dimensional analysis, where we have units like [L], [T] or [M]. What we’re looking at here is quite different. That is, when you understand that meaning or physical significance comes from the object referenced by its label then you can apply this “semantic grounding” [1,2,3] as a principle to any observable you like. E.g., since “dog” refers to a particular kind of mammal – an observable – it has meaning whereas “smarkulot” (a random string of letters) does not. Understanding this is important in separating theoretical physics from objective physics. In other words, symbols have no intrinsic meaning. So now we can try out this new principle on the words “static” and “dynamic”. If these are physically meaningful abstractions, what do they refer to? That is, how do we go about making these words explicitly objective? Ans: by choosing a reference static. Intuition tells us that we should find something that is truly static – like a ruler. Then we can use our ruler to compare other things with to tell if they are static with respect to our discovered static ruler. But this intuition is wrong for one very good reason. We don’t have prior knowledge  of what the string of symbols s-t-a-t-i-c means. We don’t actually know that a matter-like object is, in fact, static. So if we don’t know what the word “static” refers to, what do we choose for a reference static? Ans: Anything we can observe. Let’s say we choose two electrons as the endpoints for our static reference length. Or let’s say we choose two galaxies. Either choice is objective (not authoritative!) via the principle of semantic grounding. But to say that two negatively charged particles define a static length sounds absurd. And it seems this way because what we have learned is that particles with the same charge accelerate away from each other [4,5]. It’s tempting to conclude that this idea of semantic grounding must to be wrong! On the other hand, we might realize that electrons move away from each other with respect to our mater-like reference objects. In other words, it is our matter-like reference objects that we have defined by default assumption as defining our static reference objects. That is, without knowing it, we assume that the word “static” has intrinsic meaning and the same goes for the word “dynamic” [3,4]. We can say that not only can a physicist assign variables to observables, we can also assign English words and concepts to observables. And here we are defining the word “static” as an abstract reference to some line like object that we can observe. i.e., “static” is a variable but in the context of written language. So how to apply this to “time”. If we can’t observe time, how can we make “time” objective? Easy. The observation we need is in our solar orbit. That is, every clock on our planet is an indirect reference to the position of the Earth in its solar orbit. And the Earth is in inertial motion around the sun. I.e., the Earth changes position as the hands or digits of your clock change. And because of this we can, through this indirection, define the Earth’s changing position as our reference dynamic. In other words, a clock doesn’t measure time, it provides us with something that changes with respect to a reference static (matter). And it is that which allows us to use a clock to as a reference change to measure a magnitude of change. One powerful consequence is that, by extension, we can apply this idea to define a reference speed and a reference acceleration (and more derivatives if we want) and then apply our model to measure speed with a reference speed. And all of this is to say that if we can use a reference length to measure other lengths we can just as well use a reference speed to measure other speeds. Illus 1. The line defined by the rifle and its bullet is static with respect to the line defined by the pistol and its bullet. where target is static with respect to reference and this static relationship is independent of other dynamic relationships. E.g., reference can represent a reference speed, acceleration, jerk, snap, crackle or pop etc. Note also that If you’re deciding between a Euclidean or a non-euclidean reference length, the choice is easy. Choose Euclidean because a measurement is a mapping or an encoding of an observable into a real number. Or to put this another way, why choose the more complex (non-euclidean) when the simpler will do just as well? So now let’s do a bit of simple math. Let’s prove that special relativity is a consequence of all that we’ve said so far. 1. 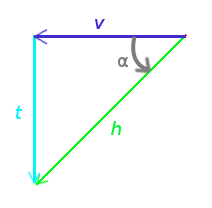 The reference t, gets smaller as v increases in exactly the same way as time does in special relativity. 2. No concept of time is not required. 3. An additional frame is not required. 4. This relationship is independent of the speed of light. 5. No assumption about prior physical law. 6. Acceleration, jerk, snap etc. are all relative. 7. There is a maximum acceleration, jerk, snap etc. That is, when we make our “velocity” variable unitful we need to return it to its natural or unitless or abstract unit form via the conversion constant c.
A common practice among many theoretical physicists is to set the physical constants like G, c or h to the real number 1.0 . Eq’s. 1, 2 and 3 tell us that when dealing with more than one frame it’s not clear which frame actually defines 1 true unit of length or time. In other words, natural units as they are commonly used (reals), are not general. Because of this, I’ve left each reference unit as an abstract unit. i.e., abstract clocks and rulers that are anchored to geometry rather than numbers. The key advantage is that we are developing physical principles from the bottom up rather than top down. In fact, any theory worthy of experiment must still be verified via clocks and rulers. Here, we can infer that by including abstractions for clocks and rulers, any model which carries its own clock and ruler also carries its own verification. Of course, an abstract verification does not guarantee that a model is free of defects, like simple math errors or mathematical abuse, assumptions etc. So, Objective time is indistinguishable from the best theory of time to date. But is it in fact objective? Playing devils advocate here are some questions I’ve come up with. Q: If your model of a measurement is a quotient, don’t you get infinities for reference lengths of zero units of length? A: Yes. But getting lengths of zero is very difficult. Impossible really. First, nobody will ever choose a point as a reference length. And if you don’t choose a reference length of zero you can still get a length of zero in other rulers if your speed equals the speed of light. Note that Eq. 1. can be misleading if you think about it in terms of numbers. That is, Eq. 1 seems to say that t shrinks as v increases. And that’s not true. What happens is that t becomes relatively small with respect to an increasing v. t is not actually shrinking, or, at least, the question of whether t is shrinking or v is increasing is actually indeterminate. Say for example you have a black box and in it is a reference length and a target length and on the outside is a button and a display of the measurement result. You push a button to repeat the measurement. The first time you get a measurement of 10 units the second time you press the button you get a reading of 20 units. Did the reference length change or did the target? Q: Wait! If you can’t tell if something is growing or something else is shrinking, doesn’t that contradict the big bang? It sounds like it is ok to say that the universe is static and our matter-like reference objects are shrinking. Yes? A: Yes. To say that the universe is expanding is just another way of saying that matter is shrinking. These are just two different ways of saying the same thing. But it does bring into question the veracity of a beginning of the universe. Since the cosmic time that the big bang depends on vanishes. And Eq’s 2 and 3 tell us there is a speed limit in the universe and it may not be broken even in principle. And this is a serious problem for Cosmic Inflation. Inflation  took about where the universe increased in size by a factor of about . Inflation ignores the fact that the units of length and time do depend on physical objects. Cosmologists argue that this is ok since the inflationary expansion occurred in both space and time so it doesn’t actually break the speed of light limit. But the simple statement “It took seconds for one meter to grow to meters.” is an impossible statement in the absence of something that defines a physical meter and a second. It is also impossible since this is a velocity of about . A factor of about times the speed of light. There are other problems with the big bang that are clearly on theoretical ground rather than objective. Q: So if I can choose any two points in the universe as a static reference length, then I can choose the end points of an oscillating spring. Wouldn’t that mean that the universe is oscillating? A: Yes, with respect to your chosen reference static. Remember, you are encoding observables into numbers. It’s a choice you make to make a model easier to work with. We construct abstractions so that we can do virtual experiments for one very obvious reason; it’s easier to do the math than actually do physical experiments. So construct the abstract tools that make your abstract experiments easy. If an oscillating/static reference makes your virtual experiments easier then that’s what you should choose. But because there are other non-trivial factors that are related to the mechanics of a spring that might be troublesome. That is because there are other deeper phenomena that give a spring its oscillating properties a spring might not be a good choice for fundamental physics. Q: Why is the speed of light so big? A: Its big because of the unit of time or distance we have chosen. Think of measuring driving distances in millimeters. A drive of 300 miles isn’t that big. But if you chose to represent that in millimeters it would be 482803200 mm. For most physicists the speed of light is just 1 unit of space per unit of time . And in the context of this paper, this is equivalent to saying that the speed of light is 1 Fmoco, where 1 Fmoco is one unit of reference speed. A: No. Pythagoras’s distance formula works fine if you’re only dealing with distances that are static with respect to you. And since you’re made of matter, then we’re implying that it only works for matter. Which begs the question “is a unit of length of space equal to a unit of length of matter?” Which we shall address in a later paper (being edited now). But, here’s what you need to see. When you verify a distance, velocity or time predicted by a theory you wouldn’t measure distances along some set of axis. Or at least, I hope you wouldn’t. It introduces parasitic measurement errors in distances and angles. Using only a quotient to represent a measurement result seems to be the best way to represent how we actually verify a theoretical prediction. Of course, if we were doing analytic geometry we would need to define a fairly rigorous coordinate system. Q: If anything can move in any direction, doesn’t this violate “The Arrow Of Time”? A: The “Arrow Of Time” is based on the 2nd law of thermodynamics which says that in an isolated system entropy tends to increase over time. E.g., a copper penny dissolved in nitric acid never regains it’s shape, a broken glass never “un-breaks”. Thermodynamic systems are systems of change and so they too need a reference change to determine a magnitude of change. And so for a thermodynamic system, it is the system with the large object count that is “time” dependent – not the other way around. We could say that because the thermodynamic arrow of time is one directional then so must be time’s arrow. But, in a classical context, this just hides one abstraction in another. It is far clearer to realize that to move from one point to another with respect to some static frame of reference (say a table top) the distance between its starting point to where it moves to can only be positive. For example, draw a line on a piece of paper and notice that the line never has a negative distance. I should also point out that physics is the art of reduction. Thermodynamic systems are not “reduced systems”. Q: So if you’re saying that time is not an orthogonal dimension, is Einstein’s General theory of relativity wrong? A: No. Einstein began with a classical notion of time and then applied special relativity to it “as is”. It worked well because he implicitly combined space and time. That is, classical time does not imply anything space-like either as an orthogonal or embedded dimension. The classical “elements” of time that Einstein used imply order but without a concept of separation. And a space-like separation is impossible to define when there is no past or present. i.e., without a time-like ruler we can’t verify the distance between “times”. Einstein’s theory worked well because he added in a fourth dimension that had the needed space-like character. But it was put in by hand because he believed time was an un-observable orthogonal fourth dimension. Q: If I look at my watch at one o’clock and then at two o’clock, isn’t that a time-like separation of 1 hour? A: Of course that works fine in a practical sense, but you are implicitly relying on two or more other references. The first is the sun. Your watch is calibrated by the motion of the Earth-Sun system. The second is your own internal clock that provides a reference change. 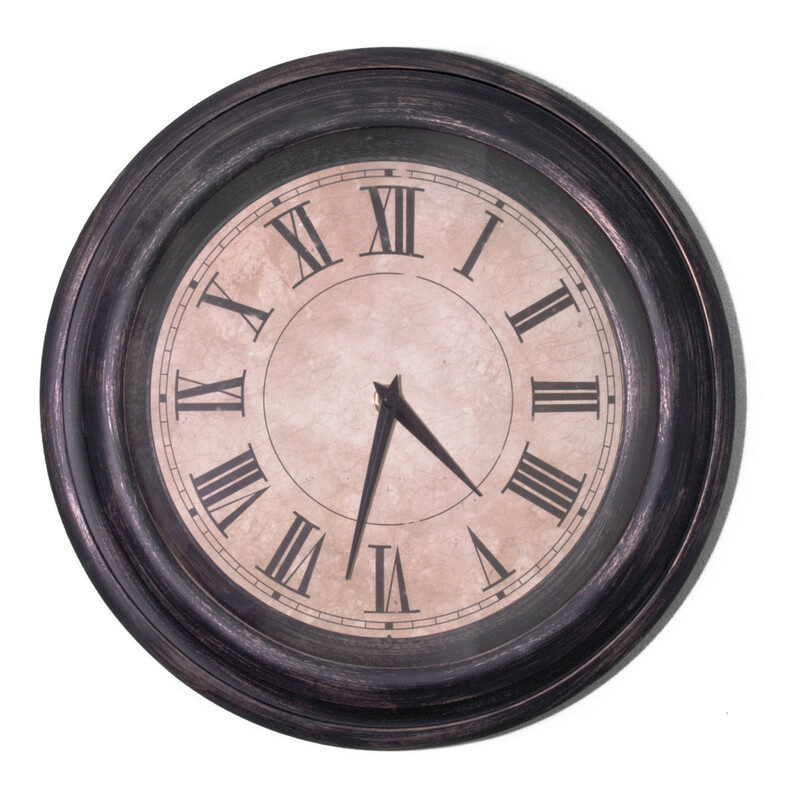 There are many sources of “internal change” that can serve as a clock. Exactly how your body gives you a sense of time isn’t all that clear [ 24] and is certainly not fundamental. But even so, it’s not a clock that you can turn over to somebody else for verification. I.e., its subjective rather than objective. Q: If I find the quotient of 4 meters divided by 2 meters I get a unitless 2. Not 2 meters. What happened to the units? A: Yes that’s right in your case the units vanish. But you’re finding the quotient of two measurement results not the quotient of two lengths. Remember that the word “meter” is a reference to a well-defined object that is line-like. We actually don’t know how long a meter is. Ask yourself “how long is a line?” or ½ of a line? A meter stick is line-like. By comparing it to other line like objects, we can tell how much larger or smaller other line-like objects are with respect to the length we call a meter. The same goes for speeds and reference speeds. Q: There is a distinct pattern in physics. With each new foundational truth, theory becomes more and more interdependent on these new findings and, as a result, tends to increase in complexity. You have created something simpler, rather than more complex. I mean… Aren’t you heading in the wrong direction? A: Physics is the art of reduction. But we have to pay attention to what it is that we are reducing as well as how we reduce. It’s not just reducing observables to the point where we have our immutable atoms. It is also a program of reducing our concepts and symbols where we have an unambiguous 1:1 semantic alignment of symbol and object. And it is this point that we need to aim for since any other relationship leads to confusion and ambiguity. E.g. Quantum Entanglement , Wave-Particle Duality, Big Bang Cosmology[ 21], Heisenberg uncertainty, Decoherence etc. Objective relativity takes us “back to the drawing board” to re-examine and refine our concept of time so that we can start over and possibly go beyond Einstein. Q: In illus 2. how can you justify that t is not orthogonal to 3-space? A: Occam’s razor. I’ve never seen “a time” but I have seen things move. If a phenomena is observable and reproducible you don’t have to construct a complex argument for what you observe. Because of this, objectivity trumps theory. If it were otherwise we would never need to verify a theory. Objective time is both observable and is the simpler explanation for length contraction and time dilation. A: You shouldn’t. That’s the point of Objective Physics. If I give you two objects you can compare them just like I can and determine if they are alike or not. There is no argument required. The comparison – if well defined – is reproducible and does not depend on what I have imagined to be true. Life gives us our sense of the universe through our senses. And we take this information as authoritative. Our eyes have built-in reference lengths and speeds in our rods and cones [16,17] that allow us to perceive the world in two, three and “four” dimensions. In our day to day experience, if we did not take the information given to us through our senses as authoritative we might not duck when we see a rock thrown at our heads. Consider not doing so. E.g., an alternative to ducking might be collaborating with a colleague on the subject of “Is that a rock coming at my head or is my head moving towards the rock?” And this is to say that we do take our senses as authoritative (or intuitive!) to survive, but we shouldn’t be dogmatic about it. We are free, in fact, to challenge our perceptions and intuitions. Objective physics takes us a step in that direction by defining external reference objects in a general way so that subjective experience via our senses does not cloud the objective truth with intuition, opinions, guesses or authority. From here the derivations of special  and general relativity [7,14] can be built in exactly the same way as Einstein built them. But, more intriguing, if time is really just a reference change in position, then Einstein’s 4-dimensional universe overlooked a few other dimensions. That is, given that a reference speed may take any direction in a space of three orthogonal dimensions, we can add 2 more embedded “time-like” dimensions and infinitely many other multiples of three dimensions to build entirely new models of the universe. In other words, Einstein’s general relativity as it is, is incomplete. And any theory that accepts Einstein’s general relativity inherits that incompleteness. Each of us has a built-in clock that gives us a sense of the passage of time. As well as a sense of the past, present and future. And it is this subjective sense that has whispered to us “a clock measures time” or “a clock is something that cycles”, or “time is a flow” …etc. Our intuitive sense of time works well in a practical sense but fails us when we seriously consider the question “What is Time?” and/or “How Does Time Work?”. For more than 100 years, state of the art physics tells us that a length contracts when it moves fast because the speed of light is constant with respect to all frames of reference. Or, conversely, the speed of light is constant with respect to all frames of reference because clocks and rulers conspire to maintain the constancy of c, via length contraction and time dilation. It’s a circular argument. Here, where we define a model of a measurement of length, speed and acceleration we see how we can break this circle in an entirely objective way. Time as an orthogonal dimension simply goes away when we apply Occam’s razor . Occam’s razor basically asks something like “well…. what would you rather do? Drive 100 times around the block and then drive to the store or just drive to the store?” In other words, why choose the more complex choice over the simpler when they both give you the same result. When we view time as a reference change, there are lots of very new ways of thinking about physics that underlie the observable universe. Many of them turn out to be surprisingly simple. But probably the most exciting result of objective physics is how soundly it lays to rest misunderstandings of the concepts of time we’ve held for centuries. 3. “Default assumptions and their effects on writing and thinking”, Hofstadter, Douglas R., Scientific American, Oct. 1982. 11. Hunziker, H. Der jugendliche Einstein und Aarau: Einsteins letztes Schuljahr. p. 121. Birkhäuser, Basel (2005). Interesting read. Everything you said made sense, but at the same time, conflicts with how I think of time. I think I’ll need to spend some time with this. Do you not think it is valid also that the ‘objective physics’ via its (human) abstractions must not cloud the subjective experience and intuition? Yes Faustino, I agree in part. I have this image of a scientific process that’s something like a “bolt shaker”. Add a bit of noise to your heuristic process to prevent dogma and logjams and to create insight. Creativity is a subjective process. Without it, its hard to imagine how one would make progress in life, or science. One rarely reads a scientific paper where all pre-publication details are included. Lots of subjective processing takes place before anything can really be formalized. In the end, though it does come down to a subjective choice, an objective vs subjective approach. There are some subjects that are simply inaccessible through the objective approach, however. The big-bang for example. To get at this, one would need to be able to predict the past.